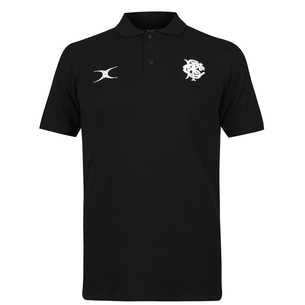 Cheer on the World’s most famous invitational rugby side when you pull on this Barbarians 2019 Off Field Rugby Polo Shirt in White from Gilbert. 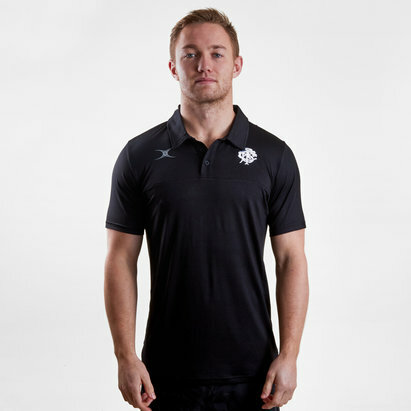 Bringing together players from all around the world the Baa-Baas are an exclusive rugby union team based in Britain. Membership is by invitation, and traditionally at least one uncapped player is selected for each match. Once invited you’re a lifelong member. 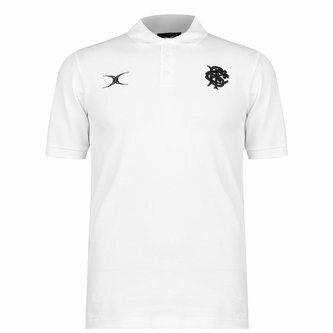 The team's motto: "Rugby Football is a game for gentlemen in all classes, but for no bad sportsman in any class," was given to them by Walter Julius Carey, former Bishop of Bloemfontein and a former member of the Barbarians. This polo shirt comes designed with a ribbed crew neck to provide ultimate comfort. In 100% soft, organic cotton this jersey provides a totally relaxed feel wherever you choose to wear it. With a 3 button placket and collar, this top provides a sporty, classic look. Model's height: 186 cm/ 6'1"